With unparalleled flexibility and more processing power than anything in its class, POD HD500X is built for tone creation. To start, it features dynamic DSP, so you have the freedom to stack the effects you want wherever you want them. 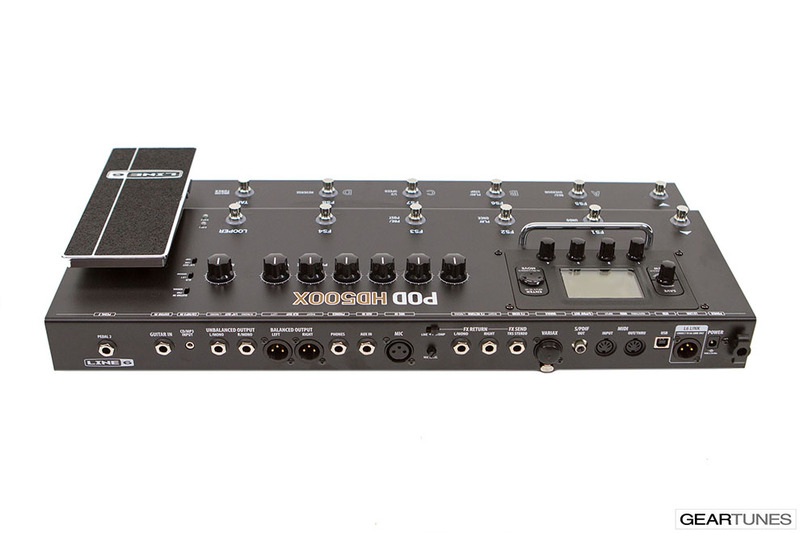 And compared to its predecessor, POD HD500X lets you add even more effects to your signal chain. You can also mix and match HD amps, cabinets, mics and effects in virtually endless combinations. With 512 presets, you’ve got plenty of options for recalling your tones. Legendary guitar tones are often created with more than one signal path. 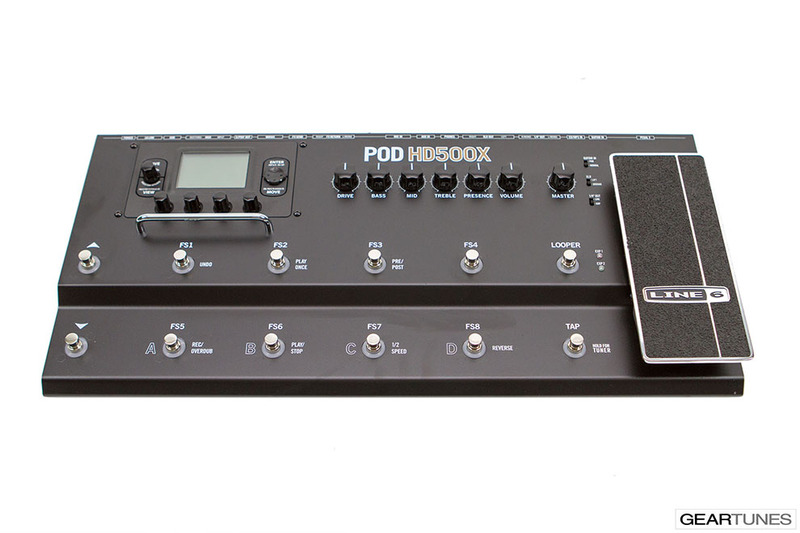 POD HD500X lets you create these complex, rich tones without the setup headaches of traditional dual-amp rigs. You can route your guitar through two completely independent paths—each with its own HD amp and effects chain, of course—or process two signals at once using the 1/4” guitar, 1/4" auxiliary or XLR mic inputs. So whether you want to configure elaborate signal chains for more traditional stereo amp setups, or create unique soundscapes, you've picked the right tool. 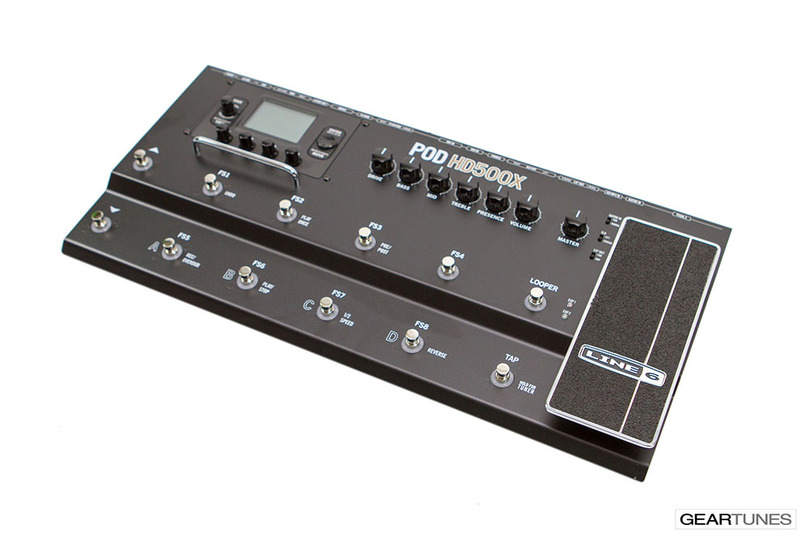 With POD HD500X, you get professional-grade footswitches with bright LED rings that you can see anywhere on stage. You can use them to enable or bypass amps and effects, or to select presets directly. 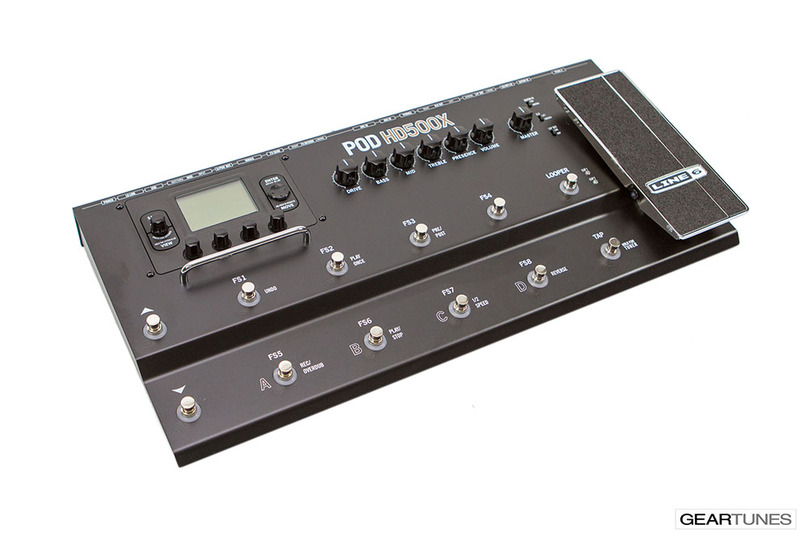 If you want to get more creative, you can assign multiple amp and effects parameters to the expression pedal and morph between sounds—controlling up to 52 parameters in real time. 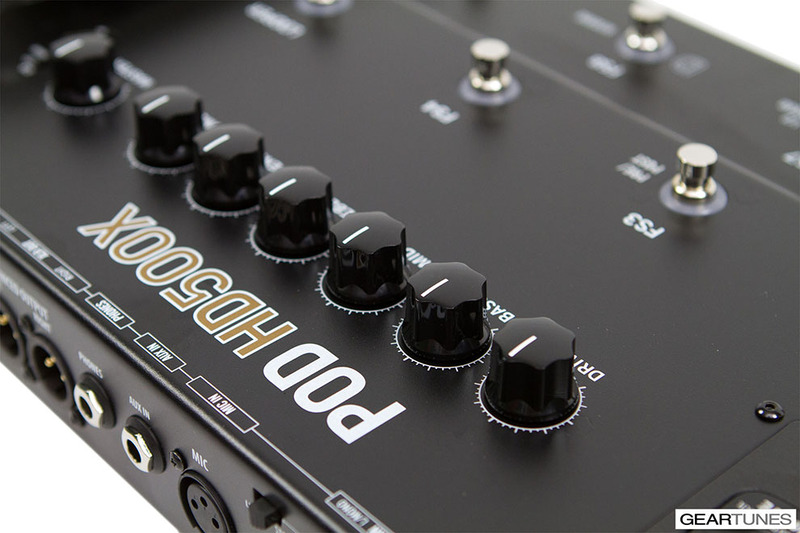 The footswitches also control the built-in 48-second looper, an instrument unto itself. 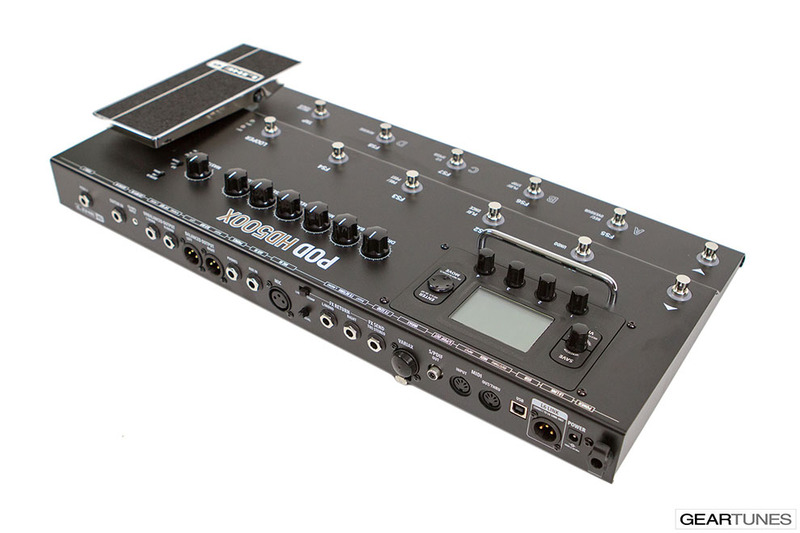 The bent-metal chassis and rugged construction make POD HD500X ideal for any stage. POD HD500X provides all the connections you need for studio, stage and anywhere in between. 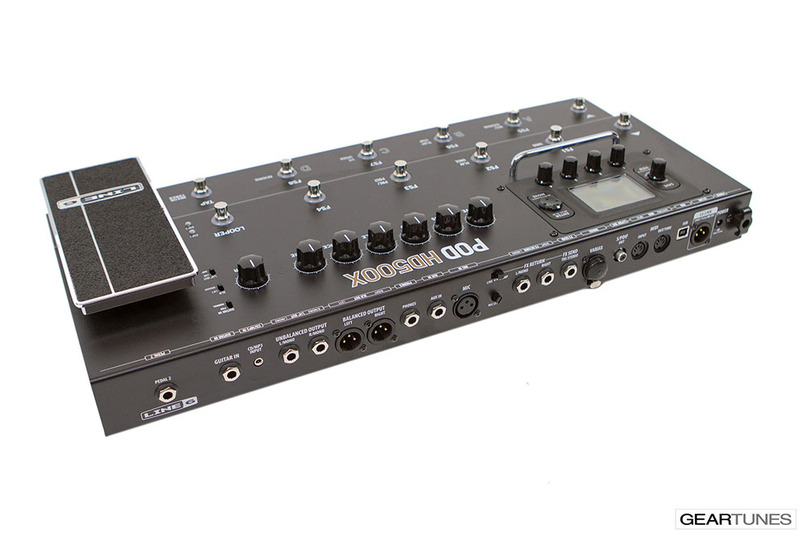 You can plug in a mic to record vocals or acoustic instruments, track with your favorite HD amps, use the stereo FX loop to connect stompboxes and outboard effects, and much more. Connect to your computer via USB for multi-channel, studio-quality recording with your favorite DAW software—or tap into POD HD Edit, the free editor/librarian software that makes it easy to tweak and organize all your tones. Connect a James Tyler® Variax® guitar and DT amp or StageSource® speaker to form the Line 6 Dream Rig—the only system that can instantly become virtually any rig. 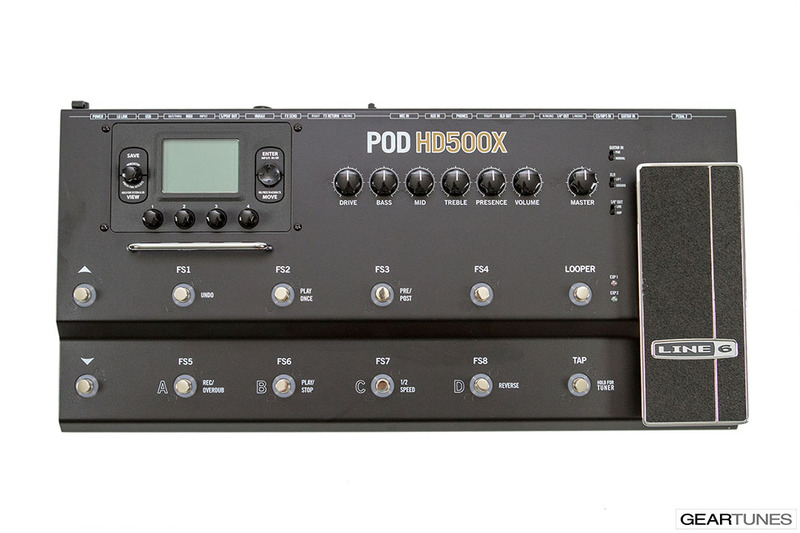 With the press of a single POD HD500X footswitch, you can recall up to 512 totally different rigs—with changes to preamp type, power amp configuration, guitar type, polyphonic alt-tuning, effects chain and more. With StageSource L2m, you’ve got a cutting-edge, full-range, flat-response guitar system that delivers consistent tone at any volume—from studio to rehearsal, to the gig.